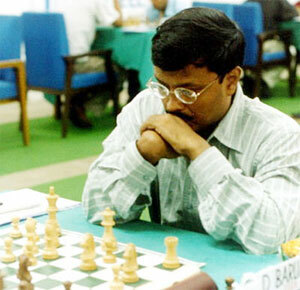 Who is this chess player – it was the Vish! today this player is over 25 years old – actually he is 37, and will turn 38 on December 11th. his current rating is not his highest ever, but his ranking is – his highest rating ever was 2803, in April 2006, when he became the fourth player in history to break the 2800 barrier. Today at 2792 he is the highest ranked player in the world. 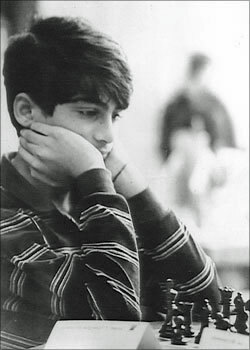 originally he wanted to become a tennis player, but because of the early morning practice hours he switched to chess – see the first story below. he is predominantly a 1.e4 player – though he has been known to play 1.d4 on rare occasions. he is passionately interested in astronomy and cosmology. Recently we heard him discuss the role of acceleration in Einstein's twin paradox with a quantum physicist – this was at a lunch in Dortmund, where he quizzed a young German physicist named Vera Spillner, who is doing a PhD on string theory, and a second one on the philosophical interpretation of time. Megachick. he has a fine sense of humour – and a knack putting things in their right perspective. At the above lunch he asked: "So you guys understand the start of the universe down to the first 10-40 (ten to the power of minus 40) seconds? Everthing that came after that is a piece of cake. It's just the first 10-40 that you need to work on?" Yes, said Vera, that about wraps it up. he speaks three languages fluently, but his first language is English – Anand speaks Tamil, English and Spanish (and is currently picking up German fast). Although he speaks Tamil with his parents and his wife Aruna, he can express himself best in English. we are basically fairly sneaky people, here in the ChessBase newsroom – the above clues, while all true, were meant to lead people astray. But they didn't. 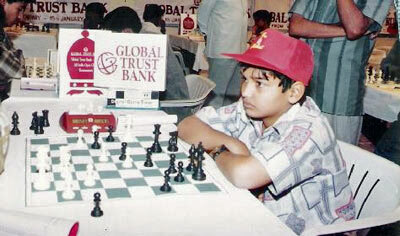 Over 70% of the visitors who wrote in guessed it correcly: it is of course Vishy Anand, the Indian chess superstar. Most recognised him by looking at the eyes. The picture was taken from the following article in the Indian magazine Sify, carried on the 60th anniversary of Indian independence. We quote it with kind permission of the author. The Amritrajs were going great guns in tennis in Chennai (then Madras) in the 1970s, and inspired by this, an eight-year-old was enrolled for tennis classes. 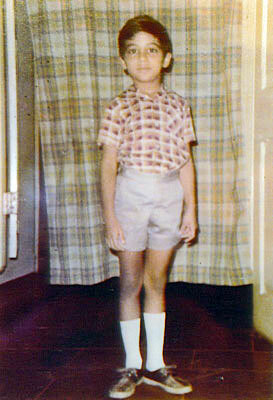 Left: Viswanathan Anand dressed up and all set to go for chess classes as a six year old. Even though the origins of the game can be traced almost 3000 years back to India, the first player to hit the international scene was the legendary Mir Sultan Khan in the1920s when he accompanied his employer to England. This player from Punjab won the British Chess Championships in 1929, 1932 and 1933, and also represented England in three Olympiads, defeating many leading players, the major casualty being former World Champion Jose Raoul Capablanca. 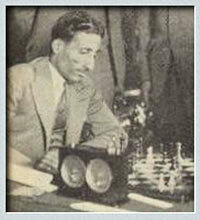 Ranked amongst the top ten in the World then, Sultan Khan’s chess exploits ended tragically after his return to India with his employer in 1933 and he faded into obscurity. Thereafter, there was a lull and only post Independence did we have Manuel Aaron winning the National title a record nine times and becoming India’s first International Master (IM) in 1961. The scintillating Khadilkar sisters, Vasanthi, Jayshree and Rohini dominated women’s chess for a decade from the inaugural version in 1974, with all three becoming Women International Masters. They abruptly quit the chess scene, leaving plenty of potential unfulfilled and their disappearance unanswered. Left: India’s first world-class chess player, Mir Sultan Khan. It was then that lightning struck Indian chess in the form of Viswanathan Anand. Rapid-fire moves, tactical strokes and chess understanding way beyond his age had people flocking to his table at the Tal Chess Club, where the six-year-old started his tryst with destiny. In 1983, the 13-year-old, fighting heavy fever and wrapped in a blanket, demolishing the unshakable Aaron, using just half an hour on his clock, was a sight to behold. This was a signal that we were to witness the most glorious chapter in the history of Indian sports. 1987 was historic, with Anand becoming the first Asian to be crowned World Junior Champion and then the country’s first grandmaster. 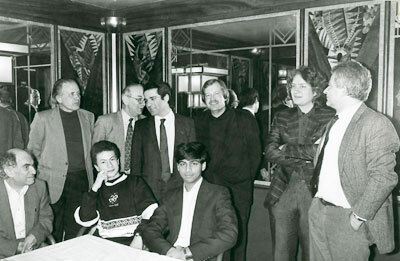 Sensational victories against the then invincibles, Anatoly Karpov and Garry Kasparov in the same tournament at Tilburg in 1991, were followed by Anand winning the Reggio Emilia in 1992, the strongest ever chess tournament. The so called Grand Slam events like Corus, Linares, Dortmund and Rapid events like Chess Classic of Frankfurt nee Mainz were conquered time and again by Anand. The year 2000 was another landmark as Anand destroyed and demolished all opposition to finally win the World title, at Delhi and Iran. What was endearing was that he was hailed a ‘Gentleman Champion’ in reference to his non-controversial, ever-smiling character, admired and adored by players and organisers alike. Anand has won the award for highest supremacy in chess, the Chess Oscars, thrice. Incidentally, Bobby Fischer was the only non-Russian to win this award before. Anand is only the fourth player in the World to cross the magical but elusive 2800 rating mark after Kasparov, Vladimir Kramnik and Veselin Topalov. Even as Anand set up a scorching trail, there was another compatriot, Dibyendu Barua from Kolkata, equally talented or gifted but sadly eclipsed. He caught international attention by defeating Korchnoi as a 16-year-old and till date is the only Indian to win a board Gold medal, at the Chess Olympiad in 1990. His brilliant play in adverse positions earned him the tag ‘Indian Houdini’, but his lack of opening preparation denied him his dues. Barua’s is one talent that promised a lot more but faded away, mostly due to lack of facilities and finances. Chess in the nineties and the millennium became altogether a new story in India. The children and their parents were equally enthusiastic in following the footsteps of India's most successful son. Suddenly, children's chess started exploding in India and we had Pentala Harikrishna winning the World under-10 title in 1996. Then followed Koneru Humpy with a clutch of age-level World titles, and soon India started dominating in Age Category events at Asian as well as world level. 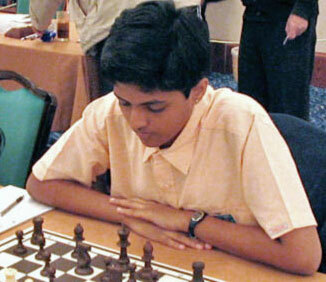 Harikrishna broke Anand’s Indian records as the youngest IM and GM, and also won the World junior. Humpy went a step ahead and set a world record as the youngest ever to win the World Junior Girls title at 16 years. Humpy, trained by her father, is ranked second in the World after Judit Polgar of Hungary. The 20-year-old is undoubtedly pointed out as a potential Women’s World Champion. Krishnan Sasikiran is another success story inspired by Anand. Though Sasikiran did not make a mark in Age Categories, his steady and determined play had him breaking into the elite 2700 ELO mark. Humpy won the first Individual Gold medal for chess at the Doha Asian games in 2006 and then combined with Sasikiran and Harikrishna to bag the team Gold. In fact, this trio have to their credit many Asian championships and Commonwealth championships. After this trio, there is a lot more promising potential in the form of Parimarjan Negi who broke Harikrishna’s record of becoming the youngest Indian GM. Dronavalli Harika has also won a clutch of Gold medals at Age Categories and there are many more talented youngsters who are promising to bloom. Comparisons with Anand are inevitable for any rising star in India but former World Championship Nigel Short however cautions” Don’t make the mistake of comparing the young players with Anand, for he is a genius and the others are still unfinished products”. 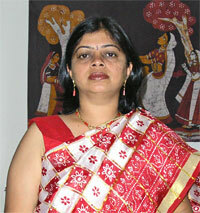 The author of the above overview of chess in India is the newspaper journalist Manisha Mohite, who lives and works out of Pune, India. She is a welcome colleague at chess tournaments, to which she travels all over the world. Sometimes the journey can take her over 60 hours. Manisha writes for a variety of newspapers and magazines, including Sify Sports, where the above article originally appeared.